Agriculture in Marple and District. Folder containing items relating to Agriculture. Material on Marple Cattle Market. 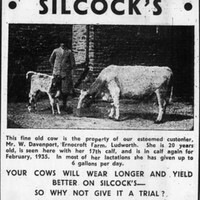 Farming Stock Action Catalogue: 21 November 1917. 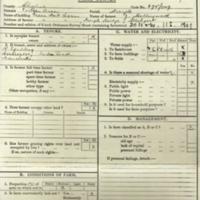 Farming Stock Action Catalogue: 28 November 1917. 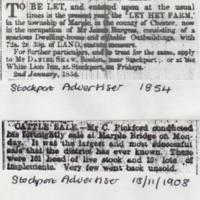 Farming Stock Action Catalogue: 22 October 1919. 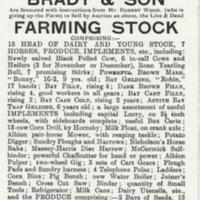 Farming Stock Action Catalogue: 10 November 1920. 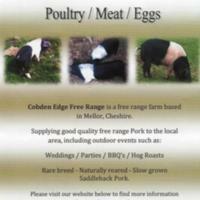 Cobden Edge Free Range Poultry / Meat / Eggs. Free Range Eggs: Duck Eggs / Hens Eggs. Free Range Pork: Sausages / Bacon / Pork / Gammon / Hog Roast. 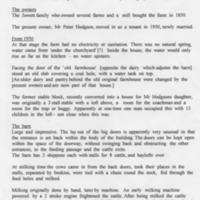 Typed document by Muriel Barton giving information on a group visit to Knowle Farm, Mellor on the 11th August 2007 with detailed description and history of the Farmhouse, the owners and the external buildings. 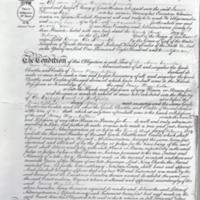 Photocopy of pages from the Home Office Acreage Returns for Mellor dated 1801 with information on the Chapelry of Mellor, (6 miles in length and above 4 in breadth) details of the agriculture, people and industry of the area. 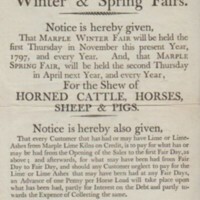 Notice of future dates for winter and spring fairs on the ist Thursday in November 1796 and every year for the "shew" of horned cattle, horses, sheep & pigs. 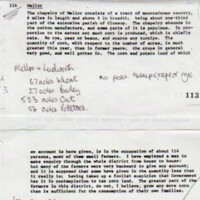 Email correspondence arising from Neil Mullineux article " Marple Smithfield" regarding the cattle market on Brabyns Brow from the MLHS website 2019.